Tuesday, April 9th: Opening reception : 5:30 – 6:30 p.m. Panel discussion: 6:30 – 8:00 p.m.
vice president of policy advocacy, Legal Action Center, and Pedro Mateu-Gelabert, principal Investigator and deputy director, Institute of Infectious Disease Research National Development Research Institutes, Inc. The program is part of the Open Society Foundation’s Dialogue on Drug Policy series at The New School and will be moderated by Susan Stellin . 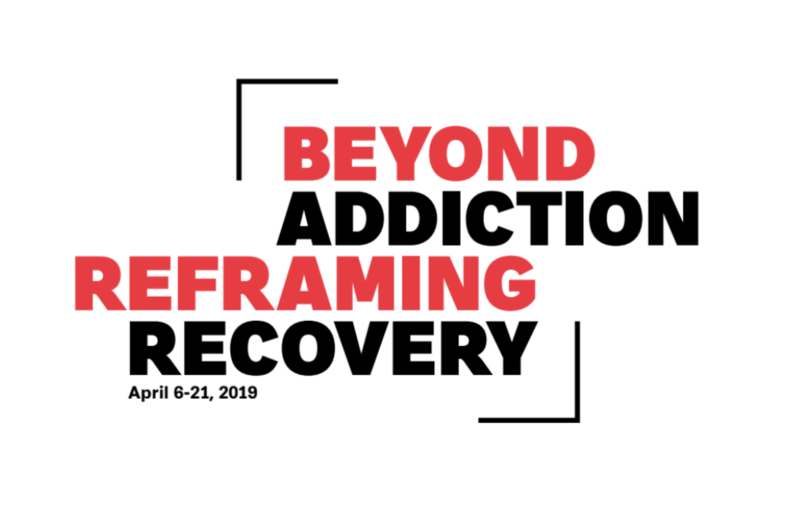 Panelists will discuss how art, media, research, and advocacy can influence how we respond to problematic drug use—through treatment, harm reduction, and other services—and help people rebuild their lives after addiction. Contributing Artists: Nina Berman, Allan Clear, John Donadeo, Yannick Fornacciari, Tony Fouhse, Paul Gorman, John Linder, Luceo, Graham MacIndoe, Josh Meltzer, Jackie Neal, Neil Sneddon, and Susan Stellin. Student Projects, supervised by Graham MacIndoe and Julia Gorton, assistant professor of communications at The New School: Sara Akiki, Carly Bayroff, Scouts Palframan, Ellie Plass, Josie Stevenson, and Lucy Xin. Portraits and interviews with people navigating life after addiction and incarceration, from a larger series documenting stories of recovery. Portraits of John’s extended family and friends exploring the socioeconomic and familial factors that impact addiction and recovery. Images and text juxtaposing Yannick’s first day on methadone with how he felt after a year of treatment. Spoken word pieces and images commenting on Paul’s past drug use and his life now in recovery. Instagram and Facebook posts reflecting on Graham’s addiction, incarceration, and recovery, which have inspired others to share their experiences as well. Portraits of treatment providers, healthcare workers, activists, and counselors shot for Dopesick: Dealers, Doctors, and the Drug Company that Addicted America, by Beth Macy. Thanks to: Luke Hayman and Elyanna Blaser-Gould at Pentagram Design, Hashem Eaddy, The National, and everyone who worked with the artists and shared their stories.